Lucy Barstow (Clark) Smith Haloburdo, 87, of Willimantic, formerly of Coventry, daughter of Thomas E. and Alice (Sweet) Clark, died peacefully on Monday (March 28, 2011) at Douglas Manor in Windham. She was born in Hartford, CT. December 4, 1923, attended grammar school in Scotland, CT and graduated from Windham High School in 1942. Lucy worked in the stenographic department of Travelers Insurance Co. in Hartford until her marriage to Edward E. Smith, Sr. on August 20, 1947. They owned and operated Smith's Service Station in Coventry for 26 years. She drove a school bus in Coventry for seven years. Edward died in June 1991. Lucy joined the Shetucket Grange #69 in 1940 and held various offices in both Scotland and Coventry Grange #75 including Master for 16 years. 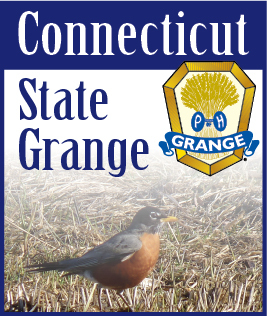 She was also a member of East Central Pomona and Connecticut State Grange. She joined the Congregational Church in Scotland in 1937 and transferred membership to First Congregational Church of Coventry in 1958. She was a member of the choir for 20 years, served on the diaconate 12 years and was also head usher and an active member of Friendly Circle for many years. Lucy was also active in the Coventry Senior Center and enjoyed their trips. Lucy was a life member of CT. W.C.T.U. and a recent member of the Willimantic Camp Meeting Association. She married John Haloburdo in 1995 and they moved to the Willimantic Camp Meeting Association Camp Ground in 2003. Besides her husband she leaves a daughter, Alice (Smith) Burns-Decelles and husband Alfred of Windham Center, twin sons Dwight Smith of Manchester, David Smith and wife Elizabeth of Simsbury; four stepsons, Ellsworth Smith and wife Caroline of OH, Jerry Smith and wife Linda of WA, Mark Haloburdo and wife Pat of Henderson, NC, and Arthur Haloburdo and wife Barbara of Coventry; daughter-in-law Frances Smith of Willington, 18 grandchildren, 21 great- grandchildren, three great- great-grandchildren, and a very special great-grandson, Derek. Besides her late husband she was predeceased by a brother, Edward O. Clark, sister, Elizabeth (Clark) Baldwin, and stepsons, Edward E. Smith, Jr. and Donald D. Smith. Her family will received friends at Potter Funeral Home, 456 Jackson Street (Rte. 195) Willimantic on Friday, April 1 Between 5-8 p.m., with a service of Christian burial at the First Congregational Church of Coventry, 1171 Main St., Coventry on Saturday, April 2 at 10 a.m. Interment will follow in Scotland Cemetery. In lieu of flowers, memorial contributions can be made to the First Congregational Church of Coventry, P.O. Box 355, Coventry, CT 06238. For online memorial guestbook and directions to the funeral home, please visit www.potterfuneralhome.com.